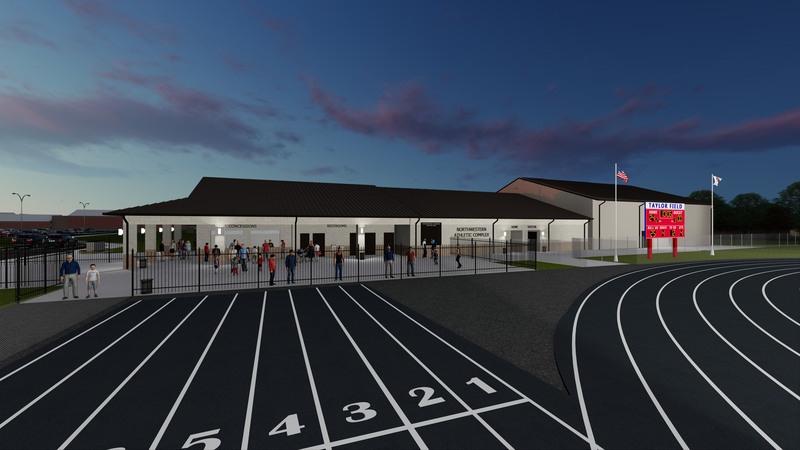 Garmann/Miller Architects-Engineers were commissioned by Northwestern Local Schools in 2016 to provide a feasibility study for a new athletic building that would assist them in providing better training and support space for their athletic programs. One of the biggest challenges for the school district was the proximity from their Junior / Senior High School and Elementary School buildings, which were built as part of the OFCC-funded program completed in 2013, to their athletic fields. 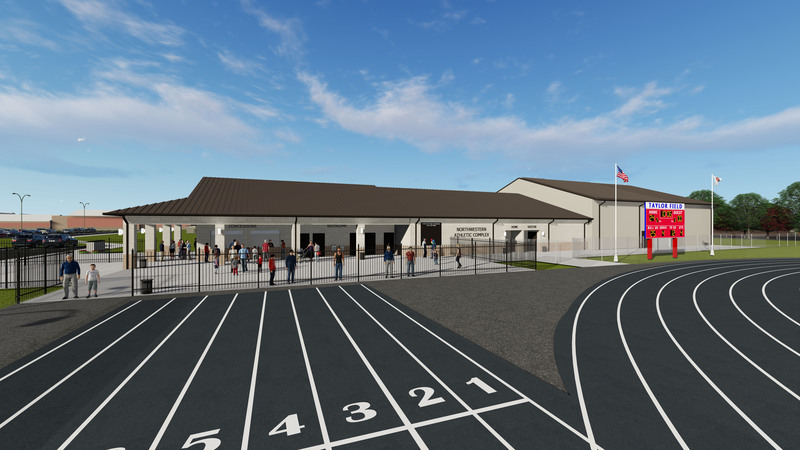 It was decided to locate the proposed athletic complex building between the football stadium, the baseball and softball fields and the tennis courts. 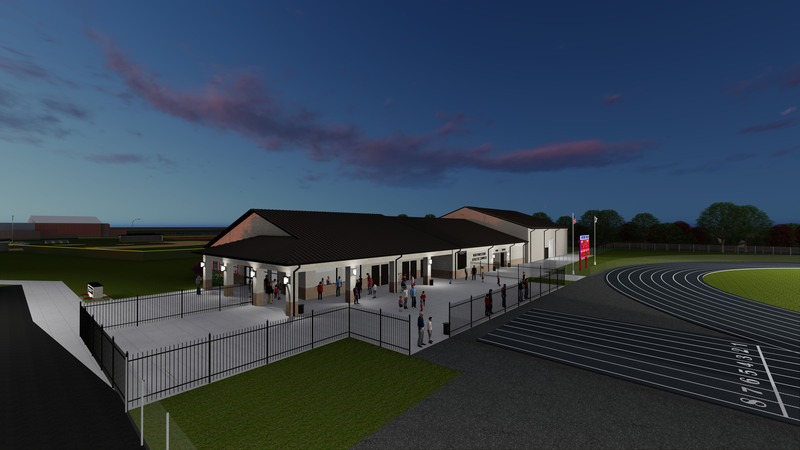 Through the feasibility study, it was determined that the proposed building would require public visitor spaces, like concessions, public restrooms, and ticket booth, that would serve each of their ball fields. 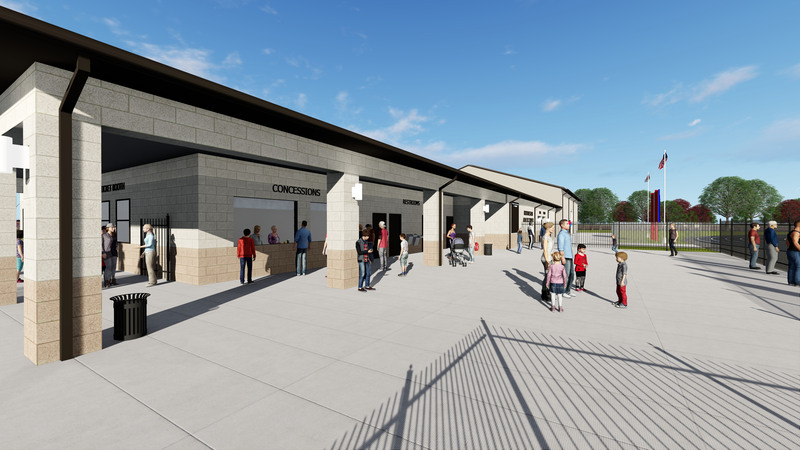 It would also require athletic team-based spaces, like a multi-purpose community room, two locker rooms, an athletic training room, two coaches locker rooms, a coach’s conference room, ample storage rooms, and a multi-purpose athletic room. The multi-purpose athletic room, approximately 6,000 SF, would require enough floor area for batting cages, weightlifting equipment, wrestling mats, and space for general instruction and exercise. In the fall of 2017, Northwestern Local Schools moved forward with the full design and engineering for the project. In early 2018, the project bid and started under construction. It is on schedule to be completed in August of 2018 in preparation for the 2018 fall sports schedule.